The problem I found after my first two month was; I felt I needed to know more about everything. I thought this would be in the best interest for my customers. I could speed up the selling process for them. If they wanted to know what their car was worth, I would give them an approximate value. I would give my customers everything they wanted, quickly and with no car salesman jibber jabber. You might think this would get me more sales, right… nope…wrong. Who does all of the vehicle appraisals at your dealership? If your answer was anything other than the sales management team, your dealership may have a problem. Why? Sales people are hired to sell cars and leave those numbers to the management team. If you, as a sales person estimate the customer’s trade in appraisal, you will be opening yourself up for one of the two following issues. For example purposes the actual real trade value of the customer’s vehicle is $5000.00. The sales person tells the customer their vehicle is worth around $8000.00. In this scenario the customer will still listen to you and follow you all around the dealership. Because you’re the first sales person that has told them what they have been waiting to hear. They love you…for now. At the start of your negotiation, the customer will be expecting your high evaluation number. When you present the managers actual appraisal, they will be upset and think you lied to them. Your credibility has been completely lost. In almost all cases this will end up in no sale or a very low gross profit transaction. The sales person tells the customer their vehicle is worth around $3000.00. In this scenario the customer will think you are taking advantage of them. Your intentions are good but making this critical mistake will usually end the sales process immediately with no hope of them buying from you. In either case, the customer will generally leave the dealership and not return. This can also lead to a negative word-of-mouth in the community. We know everyone feels their trade is worth more than the current market value and that everyone wants the retail price. So when do you tell the customer what their vehicle is worth? We are going to look at two possible trade in scenarios and how to navigate the sticky world of customer vehicle trade in valuation. Timing is everything. If either of these works, continue with your contact questions and vehicle selection. If it does not work, use scenario two replies. It is imperative that you do not argue with them. Your response: “OK, no problem. Can I have your car keys? I’ll also need your ownership, exact mileage, maintenance records and has the vehicle ever been in an accident?” Also ask them where the car is parked. Your next step is to go to your manager’s office with all of this information and explain what you are doing with the customer. The objective here is to get back to your customer ASAP and continue with the vehicle selection, demo drive, etc. Your manager may or may not do the appraisal, until you have landed the customer on a vehicle and bring in a completed worksheet. This will give you the opportunity to qualify and find a vehicle for the customer and then continue with your selling process. Do not short cut anything. Remember, we do not want to fight or argue with this type of customer during the trade in process, we want to help them. Work with them not against them. When you have found a new vehicle they want and completed a demonstration drive; bring them into your office and ask for the sale, fill in a worksheet and start your trade negotiation. This process is hard to put on paper given the number of variables and different approaches and directions the customer could take. There are a couple of ways to talk about the customer’s vehicle; one way is to devalue it and the other is to ignore it and focus only on the difference figure. I’ve always preferred focusing on the difference. It’s what they will end up paying that is more important to the customer. Negotiating trade in value and how that value then plays a role in the negotiation for the new vehicle is a tricky matter. Now, wait for their reaction. Use the following word track as a guide regardless of their reaction. And remember, 95 per cent of your customers will not be happy with the value of their vehicle. When you present this number, the customer will react. If the customer overreacts, because their trade value is not enough, and most likely they will, then remind them what your position is at the dealership. Of course the customer’s number will always be different and lower than ours. Sometime you’ll be so far apart there is almost no chance of a sale. When the customer makes their difference counter offer, the salesperson must react. Remember to be creative with your reaction. Never write down the first or second number the customer says, it will give them hope and they will think they are close, because you wrote in down. Wait and listen to their explanation. It will most likely be about how much they have invested into their vehicle, what they paid for it, they saw it on the internet for more money, another dealership said etc. etc. You and your sales manager will need this information to know how to work the negotiation from this point. The customer’s response to this question will get them right to the point and they will tell you how they arrived at their number. You have to work from small increments of money, verbally go down on your number. Do not write numbers discussed on your worksheet. The reason you are doing the following is to get another number from the customer. You must get a second or third verbal offer from the customer. If you do not slowly go down on your number, the customer will not move up on their price. When the customer has given you their third or fourth verbal difference offer, write it down and get them to initial the number and then secure it with some commitment. The reason you have to say this is to clarify with them that they are about to buy a car. An actual deposit is only required when we have agreed on a final number. Proceed to your sales manager and take your worksheet, customer’s driver’s license and money to your sales manager and explain what is happening with your customer. It is very important to get to the point with your manager so that they can assist you in closing the sale. They will give you another difference number that the dealership wants and needs to make the sale. Everyone has a preconceived notion of what their car is worth. We all have emotional ties to our current vehicle, good and bad. The key to having your customer leave the dealership happy and in a new vehicle is to work with your customer and make sure the trade negotiation is done professionally. You now have a greater understanding of the trade in process and how to troubleshoot problems that could arise. I know it will give you something to think about the next time someone asks you what their car is worth. This process is hard to put on paper given the number of variables and different approaches and directions the customer could take. At least now you have a greater understanding of the process and how to troubleshoot problems that could arise. I know it will give you something to think about the next time someone asks you what their car is worth? Darin George is the president of ASC Dealer Staffing and Training www.visitasc.com . He is also the author of two sales training books. 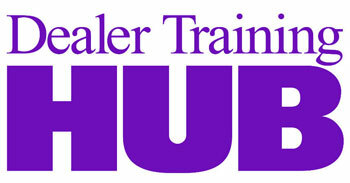 You can contact him at dgeorge@dealermark.com for recruiting sales people and training services. The Most Common and Costly Mobile SEO Mistakes and How to Avoid Them!